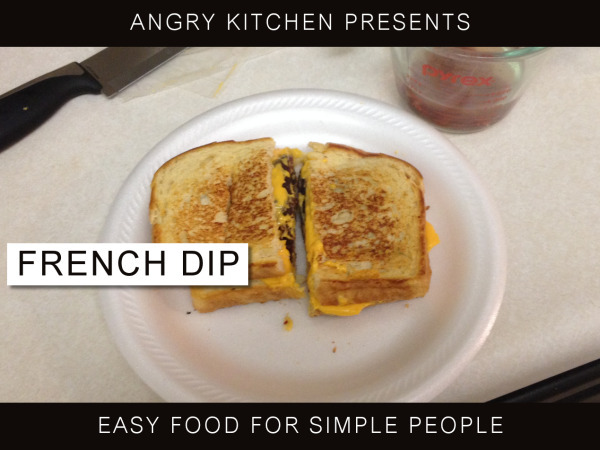 The French Dip is an American classic and restaurant favorite and with this simple DIY guide you’ll be able to scrounge one up at home in no time. 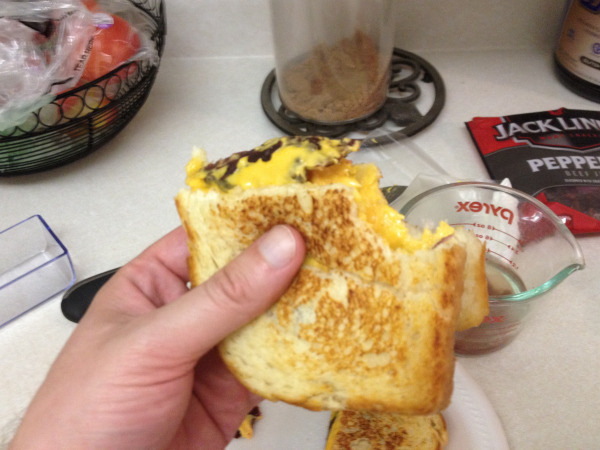 No culinary training or commercial kitchen necessary! 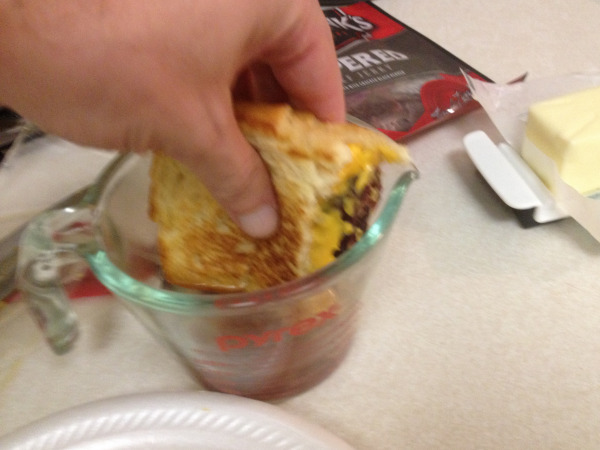 Begin by heating 1/2 cup of water in the microwave. 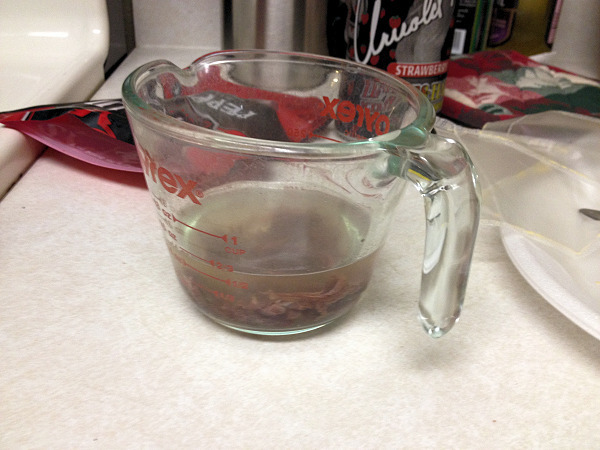 Fill with scraps of jerky to make Au Jus sauce. Let rest, stir occasionally. 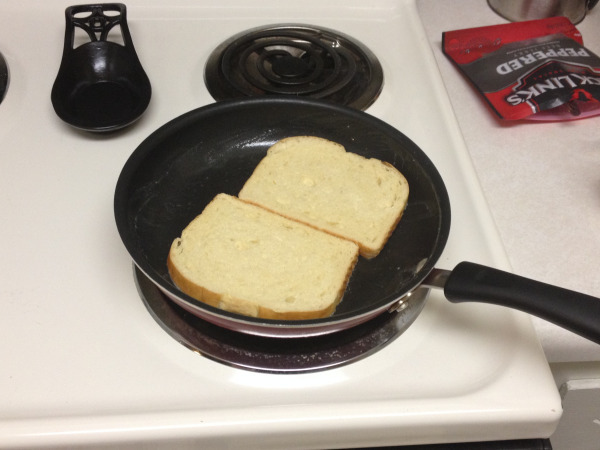 Add bread and toast until golden bread. 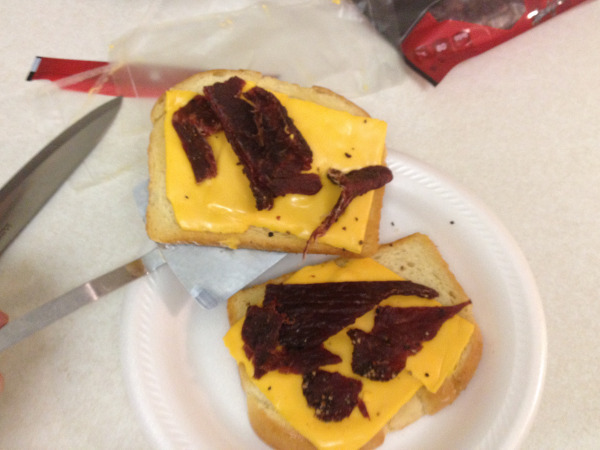 Once one side has browned, flip bread and place cheese and jerky strips on the toasted side. Turn off heat and cover. 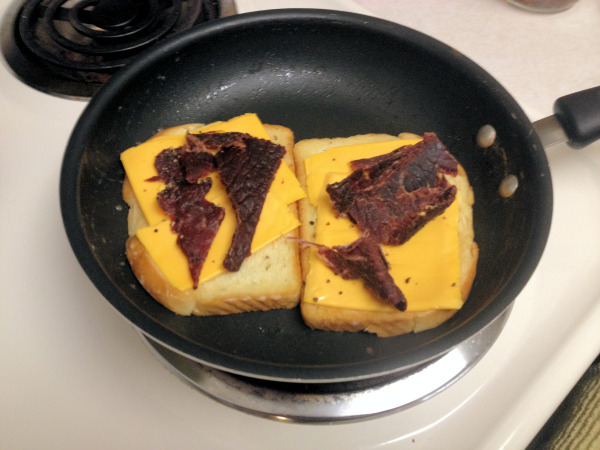 After 2-3 minutes cheese will be melted and bread will be nicely toasted. 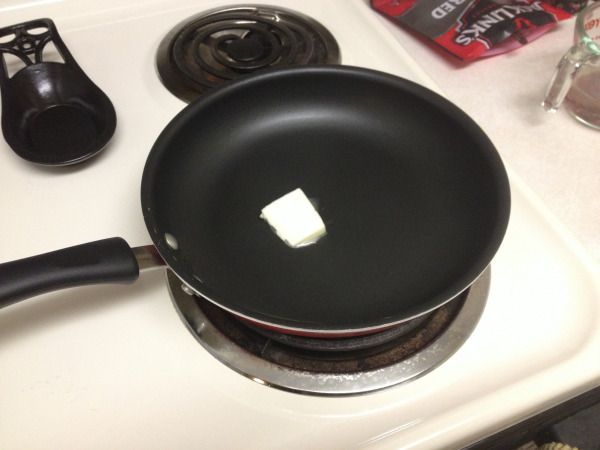 Remove from pan and slice. 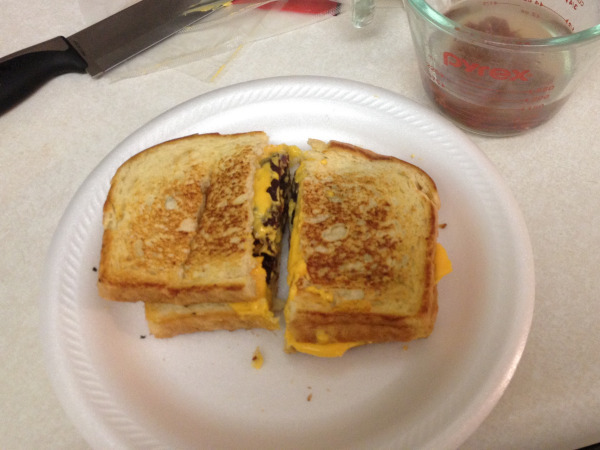 Dip sandwich in Au Jus sauce and enjoy! Recommended accompaniment: John Daly. 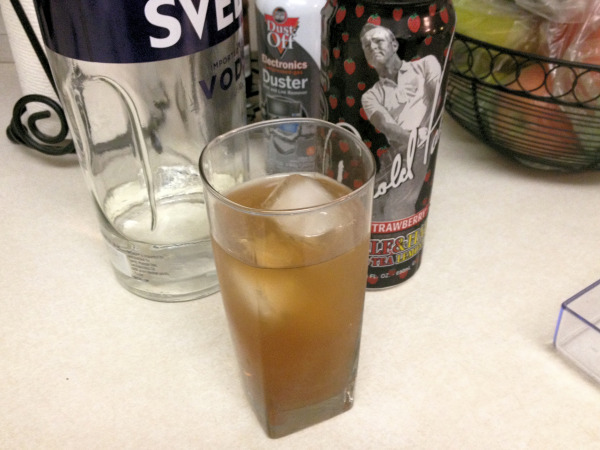 1 can Arnold Palmer™ Ice Tea & Lemonade served over ice with vodka.